Both the Patriots and the Jets are coming off bye weeks and looking to avenge humiliating Week 10 losses. The Jets have always been tough to beat in MetLife Stadium, meaning this could end up being a close game. The main concern for Tom Brady this year has been his struggles against the blitz, especially on third down. Against this Jets front--a front that will have to be aggressive to cause chaos and keep New York in the game--there's definitely potential for some turnovers. With that being said, the Patriots have had two full weeks to refine their gameplan for this matchup. Considering the prep time and the intra-divisional aspect of the matchup, I think Bill Belichick and Dante Scarnecchia should be prepared to pick up the New York blitzes. I would give Brady a tentative start this week. For the Jets, Josh McCown had an abysmal Week 10 performance as the Bills trashed New York 41-10. That being said, he threw for over 300 yards last year against the Pats, and his veteran experience should help him bounce back strong. I don't think he's necessarily a startable option, but he could be a sleeper candidate for a decent performance in deeper leagues. 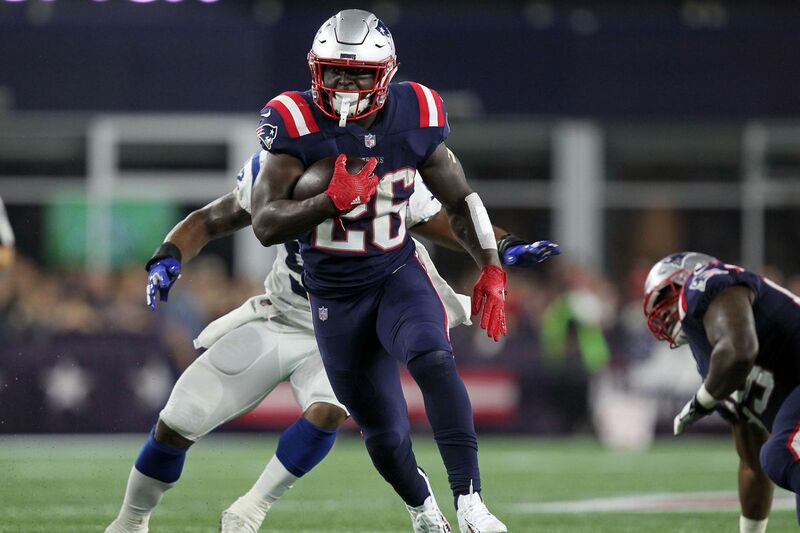 After the Bills gashed the Jets for over 200 rushing yards, expect Sony Michel to play a prominent role this week. James White is a PPR stud as usual; I think Michel will steal most of the ground work so he'll have to catch for some serious yards to be a good option in standard leagues. 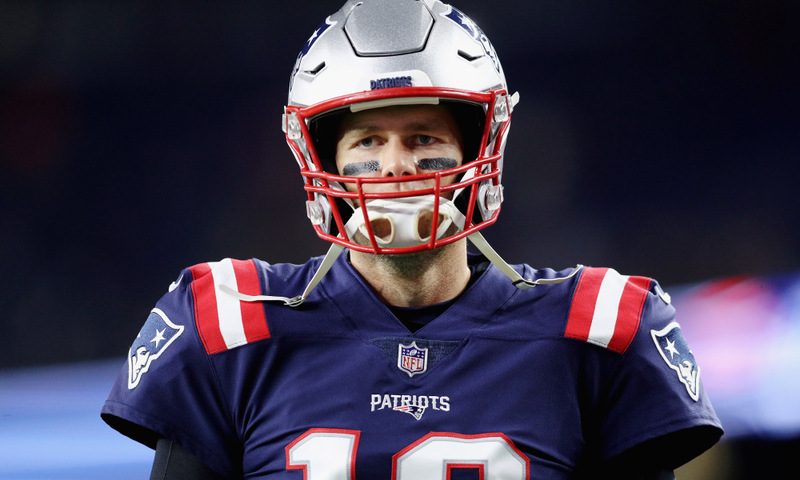 With that being said, the Titans were able to completely bottle him up with catastrophic results for the Pats offense. The Jets will likely devote similar attention to White. He's had at least five catches in all of the Pats' past seven games; this week should make it eight. New York's Isaiah Crowell should get the most carries of all the backs, but just what share that is is hard to predict. Elijah McGuire and Trenton Cannon will both siphon off touches, though neither one should get enough to actually be a starting option of their own. Crowell makes a fine flex, but with the other backs fighting for playing time, his ceiling is relatively low. UThe big news here is that New York's Robby Anderson is expected to play a limited role after missing practice this week. 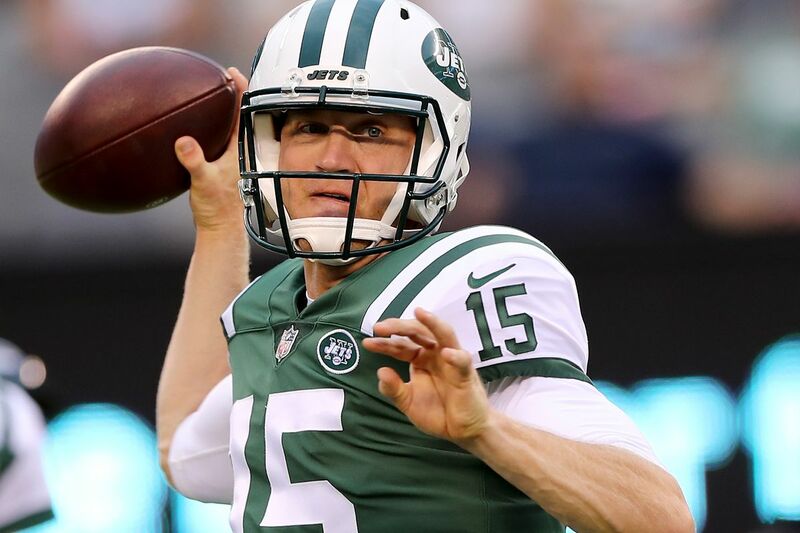 As the Jets' leading receiver and one of Josh McCown's big targets, his absence will be felt. Quincy Enunwa now becomes the de facto #1 target, though how many targets he'll see is unclear as well. Without Anderson. the Jets might simply funnel more touches to backs and tight ends in the pass game. The Patriots, meanwhile, are ready to roll with Josh Gordon and Julian Edelman. Against a shaky Jets secondary, both are starters. Gronk is finally back! As if the tight end section couldn't get any better, the Pats are also finally playing an opponent with a defined passing tight end. 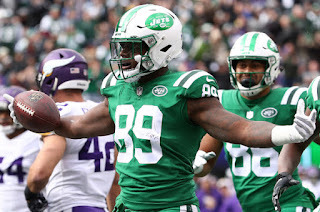 Chris Herndon has been getting some serious fantasy attention lately, and considering how woeful the Pats have been at stopping opposing TEs this season, he should be in for a good day. At the bottom line, the Pats have allowed a TD to a TE in each of their past six contests. That streak will also probably continue Sunday. Meanwhile, I would keep a cautious eye on Gronk. He should be at full strength, meaning he should be in your lineup, but it will be interesting to see whether or not he can finally get loose for a sort of "breakout game" this year. The Jets offense shouldn't be scary here, but at the same time this has many of the makings of a surprise dogfight. Knowing the Jets, I think McCown can pull together a couple drives to keep the Jets in a low-scoring type of game. If the Pats jump out to an early lead, I think New York folds offensively. The Pats are a streaming option this week defensively, but only as a second choice for me. You just never know how these Pats-Jets games turn out. The Jets defense is in a similar situation. Normally it helps to just not take the Patriots' opponent as a rule of thumb, but this team is built to generate sacks on Tom Brady. If he can't effectively read the blitz, he'll be in for a long afternoon. The Jets aren't a startable defense with the Pats coming off a bye, but they're not far out of contention for a spot. Stephen Gostkowski and Jason Myers are both good kicking options. Myers has hit some serious long-distance shots, and Gostkowski has the necessary consistency and scoring rate to be successful.